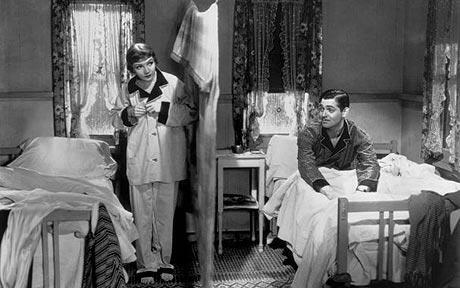 This month marks the 80th anniversary of the cinema release of It Happened One Night, which premiered at New York City on February 22nd 1934. 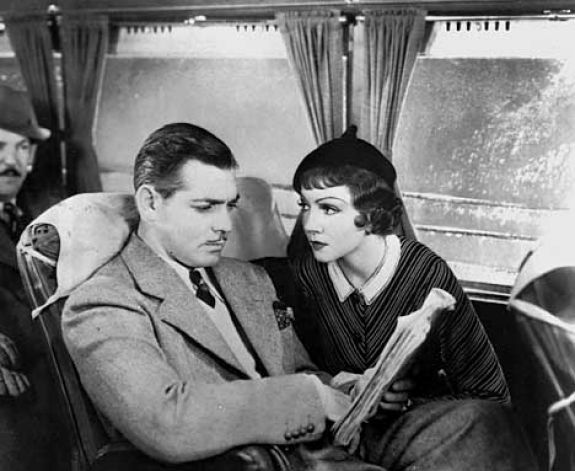 Time flies, as it seems, but this movie, starring Clark Gable and Claudette Colbert, does not seem to age. Instead, it has left a trail behind it. Considered the first screwball comedy, it has the great honour of being the first film to win the Big Five at the Academy Award: Picture, Director, Actor, Actress and Screenplay. I first watched It Happened One Night when I was about ten years old, and as it was expected, I didn’t get everything, but I understood enough to realise that it was good. I have rewatched it again over the years, and it still seems like a movie that has just been filmed. Except for the curtain thing in the room, that is nonsense. I don’t believe in writing a thousand words about the plot of a classic film. Instead, I like to remark the little details, things that happened during a production. For example, the fact that Claudette Colbert hated it. She was ashamed of it, and she did not even attend the Oscars in 1935. That was an unfortunate thing to do, because she eventually won, and had to rush from the train station to pick it up. That is not something that would happen nowadays. And the script, which won, as I said, the Academy Award, was deemed “terrible” by everyone who read it, even the actors who ended up performing it. The others that came first (Myrna Loy, Constance Bennett, Robert Montgomery…) found it so awful that they ran away from it. Even Montgomery said it was the worst thing he had ever read. Well, American Hustle is also getting awards for its script and nobody seems to be complaining too much, except for me. And yet, 80 years later, it has survived. People still remember it, and they still laugh with it. The story of a socialite who marries against her father’s wishes and the journalist who helps her escape in exchange for writing her story. 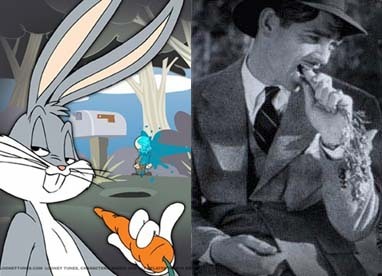 A movie that would have such a big influence, that ended up being the inspiration for the cartoon character Bugs Bunny. Funny little things you learn every day. But for me, the best story behind this movie belongs to the King, Clark Gable, who gave his Oscar to a kid who liked it. As he told him, the important thing for him was having won, not owning the statuette. As I said, he was the King. “I just finished making the worst picture I’ve ever made”. No, you didn’t.